Care for and protect our culture, which fosters an environment where people feel a sense of belonging and thriving. Define, articulate and promote our culture, aligning it with values articulated in the mission. Build mechanisms to assist the transfer of culture/school values to the whole community. 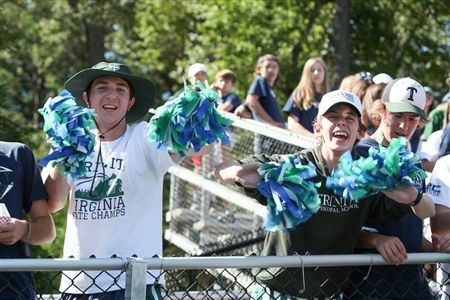 Foster programs inside and outside the classroom that intentionally unite the student body to support our core values. Develop and sustain intentional opportunities for personal and professional interactions among and between students, faculty and staff with a focus on nurturing a community of colleagues. Enhance selection processes to purposefully identify participants (students, parents, faculty and staff and trustees) who will actively engage and strengthen the school culture. Strengthen processes to seamlessly maintain our culture in an environment of ongoing change. 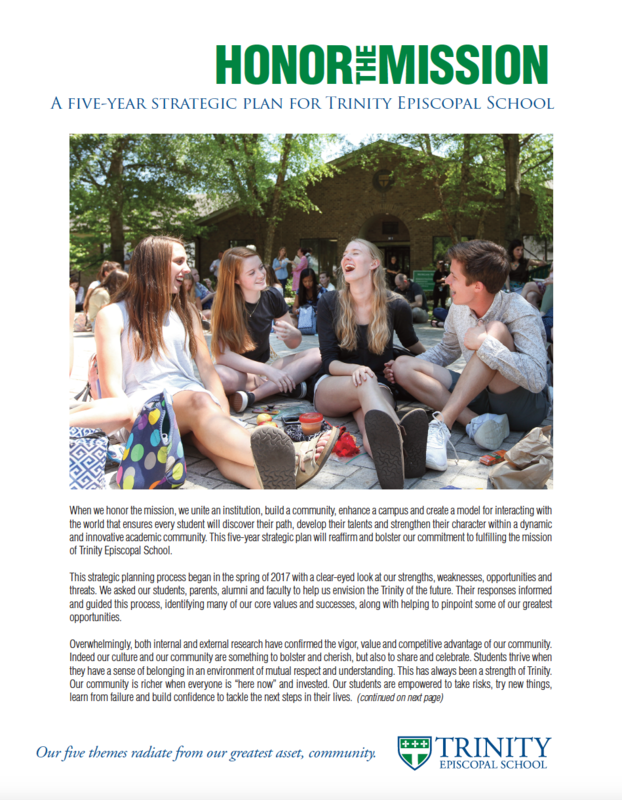 View/download a printable PDF version of Trinity's five-year strategic plan.